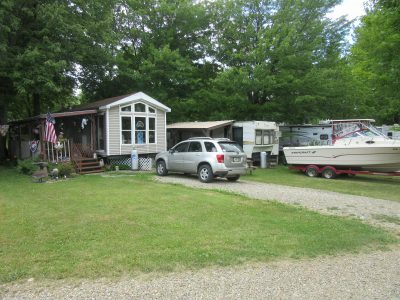 Lot: The web site advertises this as an RV Park. 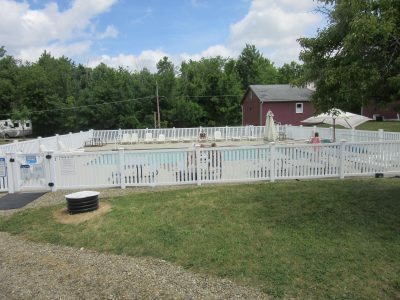 However only about a third of the total lots are set for short term camping. 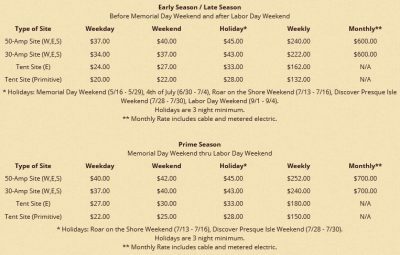 Seasonal and monthly rentals cover the majority of the Park. 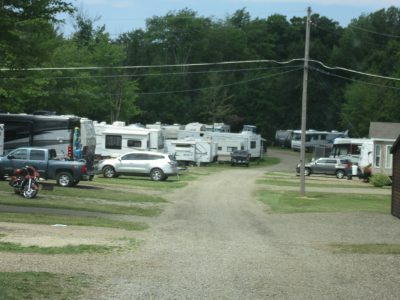 This limits the actual number of sites for folks who bring their own rig and the actual park seems more like a trailer park with a few RV lots. 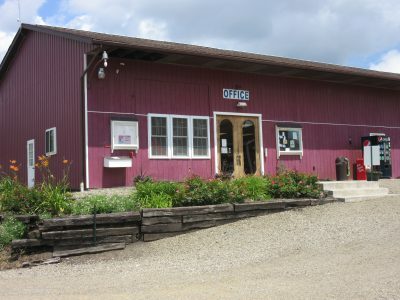 Positives: Five for five on the amenities; quick access on and off the interstate; helpful staff, and nice on-site laundry, pool and camp store is huge. 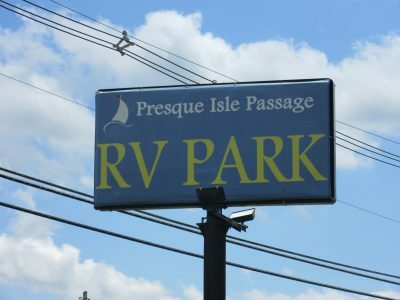 This would be a good stay for a few nights as you are passing through Erie, or visiting Presque Isle. 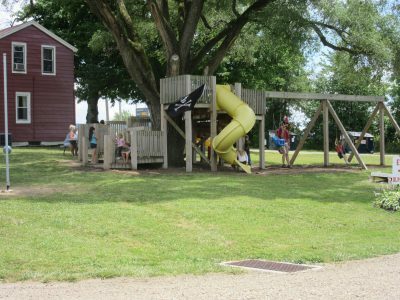 Presque Isle State Park is a 10 minute drive from the RV park and has many trails for walking, and biking, beaches for swimming, a lighthouse to visit (when it’s open), even an amusement park near entrance. Negatives: The general appearance of the park seems a bit run down. 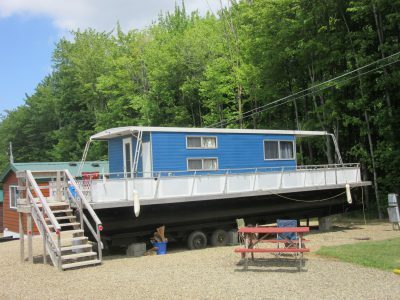 All of the seasonal rental RV’s are 10 years old or older (one is 1978), and there is a rental 1970 pontoon boathouse up on blocks. 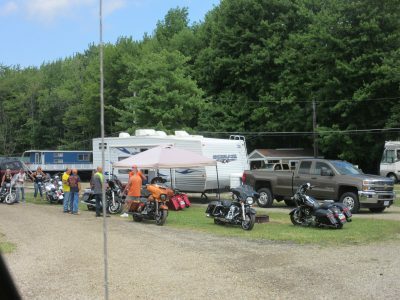 Mostly, there doesn’t seem to be a general community to the place; this could be due to the seasonal folks keeping to themselves, knowing the temporary RV people will be moving on. 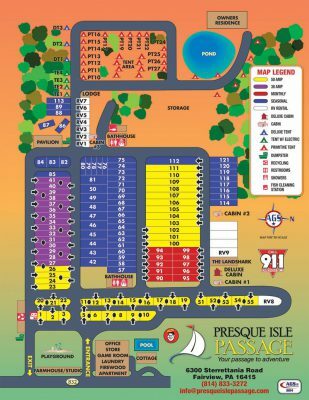 Room for RV and vehicle, lot spacing was good.